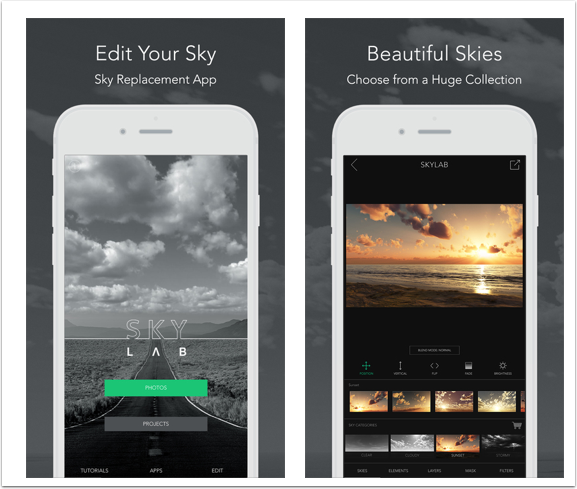 SkyLab Photo Editor – Brand New Photography App – We Have Promotional Codes For You! We just published news of this brand new app, SkyLab Photo Editor by the hugely accomplished app developers BrainFeverMedia. If you missed the details of that, please head over here, to view the video demonstrating its capabilities. SkyLab Photo Editor retails for $2.99/£2.29 and if you would like to be in with a chance to win a promotional code, we would like you to like us on Facebook (here), follow us on Twitter (here) – and most importantly reply to the post (on our website) and tell us what you love most about TheAppWhisperer.com. We’ll enter your email address into our magical hat and if you’re a winner you will find a promo code sitting in your inbox very soon. We will be annoucing a competition very soon relating to this app, please stand by for that. SkyLab Photo Editor Competition with Great Prizes – Don’t Miss This! Again a very interesting app from BrainFeverMedia! I love the in-depth tutorials for the different editing apps and how easy it is to discover great artists through the curated showcases and “pic of the day” posts. The AppWhisperer is a must follow website for every mobile photographer. Interviews, tutorials, and the creativity of the photographers. The tutorials and intrviews rock! Can’t wait for codes! This one rocks! I thousand thanks for the heads up! Three years ago I began to take an interest in making mobile photography, a great help to me was your page TheAppWhisperer, the tutorials,interviews and app reviews helped me to find my way in this for me new medium,so a big thank you TAW. I have followed TheAppWhisperer for quite awhile, but if I had to pick just a couple of things I really love about this site it would be Jerry Jobe’s tutorials and the interviews. I enjoy your website very much, especially the interviews and group showcase features. TheAppWhisperer.com is an amazing place to stay up to date with all the new and exciting innovations that are coming out for mobile photography or any kind of photography for that matter. LOVE this place! Can’t wait for my lucky code! I like the tutorials & the little giveaways aren’t bad. Felicitaciones por este sitio web muy instructivo! Espero tener la oportunidad de un promo code para SkyLab. Love the reviews on apps and on discovering creative and unique photography that can be done with the phone, one of the best sites out there. I love that theappwhisperer helps me weed out the good photo apps from the masses! Love the diversity of mobile art you celebrate. I love the app tutorials! I love the photography tutorials. Sorry about the extra comment. I’m not cheating. I just didn’t know they were moderated and ended up duplicating it.